From selection to installation, let us help you determine the best way to transform your space. Whether you’re looking for authentic hardwood or a family-friendly alternative we will assist you every step of the way. For over 40 years we have been working with many different types of flooring and have the experience needed to advise you on which types of flooring will best fit your needs and your home. 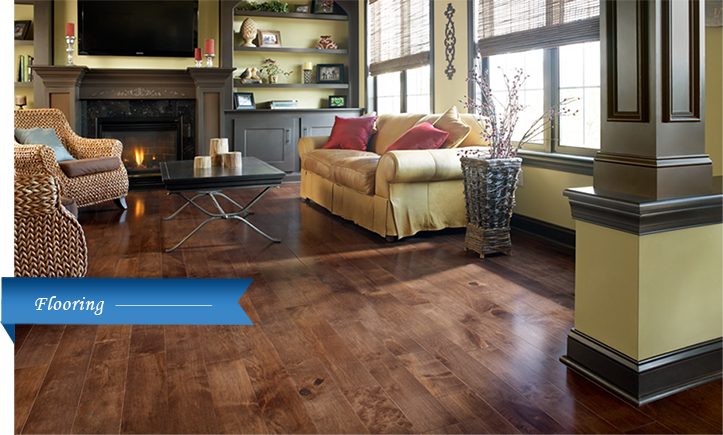 Looking to update your existing hardwood? Leave the sanding and refinishing to us. Measuring, ordering, installing and care instructions are provided by our crew – no subcontractors, just personal service. Visit our showroom Monday – Friday or schedule an appointment to review samples and discuss your goals.